This is the third article in a four-part special partnered content series presented by Mazda that looks at the relationship between technology, innovation and sport. Micro-cameras, sophisticated graphics and data tracking have changed the nature of sports broadcasting for ever, bringing viewers ever closer to the players' inner sanctum - the field of play. If you look at the many incredible achievements of the modern world, chances are you'll find it's a result of a potent combination of innovation and technology. This combination lets us live and move like never before. Mazda's innovation and technology has allowed them to develop the Mazda CX-3. As well as increasing the entertainment and monetary value of sports, these broadcasting innovations have given fans a greater insight into what it takes to perform as an elite athlete. 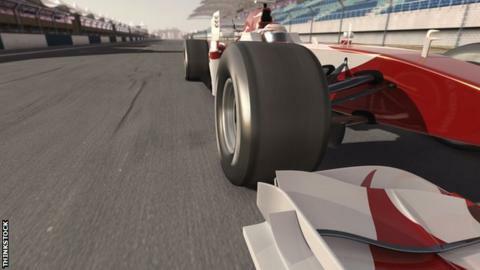 Formula 1 fans no longer need to dream of what it's like to drive Lewis Hamilton's world championship-winning racer. They just select a broadcast channel that offers race vision from a camera that sits just above his helmet, and witness every turn of his steering wheel or flick of his gear-shifting paddle. From here they can analyse his car's vital signs - via a virtual dashboard that shows speed, engine revs, gear selection, lap data, driver G-forces, and more - and hear him talk tactics with his race engineer. Hamilton now shares his cockpit with millions of fans watching him on a range of digital devices. Technological advances have changed the way we view sports, and even the way sports are played. We now take for granted that controversial moments will be replayed, with almost instantaneous visually aided expert analysis. We want to hear an umpire or referee discuss decisions with officials, armed with video technology, before a wicket or try is awarded. We expect a 360-degree angle of the game, from tiny cameras on drones above players' heads, or attached to a cricket stump, goalpost or referee. We demand that broadcasters, and the sports themselves, continue to find innovations that will help get the "right" decision rather than rely on fallible human judgment. We live in an era when players share their workplaces with a worldwide audience and games are decided in outside-broadcast vans and video booths high in the grandstand. And we can't get enough of it. It was not so long ago that such sophistication would have been fantasy. Although the Berlin Olympics in 1936 are credited with being the first televised sports event, the three-camera coverage was available only in special booths, or "Public Television Offices", in just two German cities. It was only when the BBC broadcast the London Games in 1948 that the Olympics could be viewed on home television sets. Innovations to improve the television experience followed, but relatively slowly to start with. Instant replay soon became a sports broadcasting staple and electronic timing (which Seiko developed for the 1964 Tokyo Games) revolutionised the way speed events were measured. But it was the late 1970s that marked the beginning of the sports broadcasting revolution, with multiple cameras giving fans a better understanding of what was happening on the field. For the first time, directors used ultra-close-ups of players and isolated parts of the field so that television viewers would not miss any of the action. It was not until the 1990s that broadcasting innovations really transformed the way we watched televised sport. An early example was ESPN's "1st and Ten" system for its NFL broadcasts, in which a virtual line was "painted" on the field to indicate the first "down" mark. As with other innovations, like the use of on-screen statistical information in baseball and cricket graphics, it gave viewers a chance to know more about what was going on than spectators at the ground. This made television sports coverage enormously popular, and increasingly valuable for sponsors. Computer-generated graphics, fed by intelligent data, are continuing to revolutionise sports coverage. Viewers now come to expect elaborate 3D-style graphics featuring everything from players' career prize money and performance averages to their records against rivals and scoring preferences. Instant replays are available from all angles - some in ultra-high-definition. General play may be accompanied by graphics that allow experts to analyse the action with a video marker (or "telestrator") or embellished by a virtual blue line that moves across the screen to indicate world-record pace in a swimming final. Broadcasters in many sports now rely on sophisticated tracking technology that uses high-speed cameras to predict the flight path of an object, such as a tennis, cricket or snooker ball. Hawk-Eye has a digital division called Pulselive, which allows broadcasters to run live social-media polling. Of course, Hawk-Eye's ball-tracking technology is now more than just a broadcasting tool. Cricket and tennis authorities have made it part of their official adjudication systems at major matches and tournaments. While this remains controversial, with some experts not convinced the system is infallible, the sports claim they are getting more of those marginal decisions correct than ever. Football has shown confidence in the system by adopting similar technology to determine whether a goal is scored. It was approved for the 2014 World Cup finals and is now used in England's Premier League. Meanwhile, sports that are not generally played on grounds or circuits, including yachting and cycling, have invested heavily in GPS and other technology to bring viewers closer to the action. The technology can be used to enhance performance and aid decision-making. The rugby codes and the NFL, for example, use slow-motion replays to rule on scoring plays or foul play. Elite coaches in all sports are able to use multi-camera technology to develop team strategies during and after matches. While elite sport has been most affected by the march of technology and innovation, grassroots competition has also benefited. Today's junior and amateur players can better experience what it takes to be a champion than earlier generations, and coaches can develop more effective programmes to teach the next sports stars. The future Lewis Hamiltons competing in the Mazda MX-5 cup race series in 2016, for example, can study his racing lines, throttle and brake inputs and the way he manages a race, from the relative safety of their armchairs. Mazda has a proud motorsport history, notably with its rotary-engined cars. Mazdas have won multiple races in the US IMSA sports car series, the Spa 24 Hours, two British Touring Car titles and five class victories at the Le Mans 24-hour race. It also competed in the World Rally Championship. Its most famous victory was with a Mazda 787B at Le Mans in 1991 - the only win by a Japanese manufacturer at the iconic French endurance race. Like Hamilton, these club racers can take advantage of team radio, and use "spotters" in the pit paddock or around the track to give them expert information in real time. Aspiring racing and rally drivers will try to use all available knowledge and technology to progress through the ranks, as they strive to reach the pinnacle of their sport. Learn more about BBC Storyworks Partnered content.